We have been helping companies produce superior business results and trust cultures through collaborative principles, practices and processes for over 30 years. We have the track record, experience, resources, and methodology to help you meet your business needs. The Business Challenge: The need to increase leadership effectiveness and collaboration across the departments of this 5200 person organization. The Intervention: Implemented the Collaborative Team Governance Process(sm) to build a collaborative operating system within the Senior Leadership Team. Implemented an assessment using the Collaborative Leadership Index(sm) enabled the senior team to measure the degree of trust, collaboration, and interdependence at the second and third tier of management. Recommendations for strengthening leadership effectiveness were then implemented. The Results: A collaborative Senior Leadership Team; a two way communication system between senior and middle management; a vision of a world class IT organization with strategies to achieve it; a 16% increase in leadership effectiveness scores in one year. The Business Challenge: Dramatic changes in the market, and greater competition, meant that DuPont needed greater cost efficiencies and a shift in the leadership culture. They decided to integrate 3 IT organizations that were in 3 geographically separate locations into one, and transform their culture to collaboration. They had different computing platforms, customer bases, and had “program-of-the-month” skepticism about change. The Intervention: Over an 18 month period, a unified, collaborative senior leadership team was developed; the organization was redesigned to be team-based and customer-focused. The entire organization was involved in the transformation process, leadership and self-sufficiency skills were developed, and business processes were re-aligned. To assess impact, the Collaborative Interdependence Index(sm) used. The Results: A unified, collaborative team-based organization was created with 100% ownership and alignment. They became the low cost provider of IT services. Customer satisfaction rates doubled within 6 months. Decision-making speed increased 200%. The performance management system was redesigned to strengthen collaboration. The organization went from 7 levels to 2. Workforce productivity doubled. They became self-sufficient as Collaborative Change Masters. 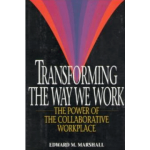 Most importantly, their collaborative culture has been sustained for over 20 years. 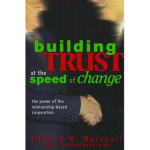 The Business Challenge: When the two companies split to maximize effectiveness and profits, the financial, legal, and organizational dimensions of the change were handled. The cultural, behavioral, and leadership dimensions, however, had not, and the Alliance was at risk within a matter of weeks. The Intervention: Under the sponsorship of Bill Marriott, the discovery process revealed that the Alliance was at risk. A Strategic Alliance Leadership Team was created. To address their trust issues, the team went through the Collaborative Team Governance Process(sm), financial targets were set, and went to work on implementing the business strategy. A business process redesign team restructured the contracting process between the two companies to speed it up. The Results: The initial financial target was tripled within the first 3 months, and within 6 months, the team had exceeded its goal by 20%. The contract processing time was reduced by 2000%, and the Alliance generated $2.5 billion in deals, and was adopted by both Boards of Directors.